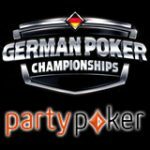 PartyPoker are making some major changes to become most action packed and enjoyable online poker room. 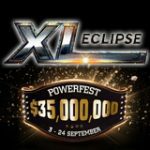 In celebration of the changes PartyPoker are hosting a massive $50,000 tournament at 14:30 ET on Saturday 20th September 2008. 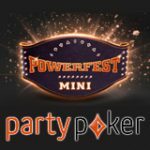 Here is your chance to win that huge prize pool, by just earning 100 PartyPoints on PartyPoker or PartyBets between Monday 15th September until Friday 19th September. Registration will be available once you have your 100 PartyPoints. Check the PartyPoker lobby under the ‘Special’ tab from 19th September. Seats are limited to 8,000 so register early. Read more about the biggest PartyPoker bonus code ever. 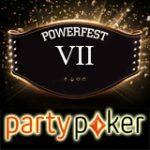 PartyPoker also offer a choice of two other bonus codes. 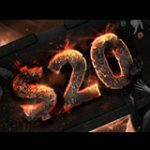 WAP25 -$25 Extra on First Deposit, this PartyPoker bonus will give you an extra $25 bonus when you make a minimum deposit of $50 at sign up. This bonus is valid for PartyPoker, PartyGammon, PartyBets, PartyCasino and PartyBingo. 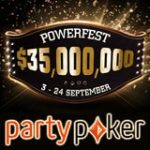 BIGGEST - 30% up to $150, BIGGEST bonus code PartyPoker gives you 30% up to $150 extra of your deposit as a bonus. 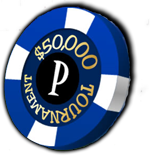 This bonus is for valid for Party Poker, PartyGammon, PartyBets, PartyCasino and PartyBingo. WAPBET150 gives you 30% of deposited amount up to $150 added with this PartyBets bonus code. WAPBETGB 30% up to £70 bonus or WAPBETSGB 100% up to £25 added.